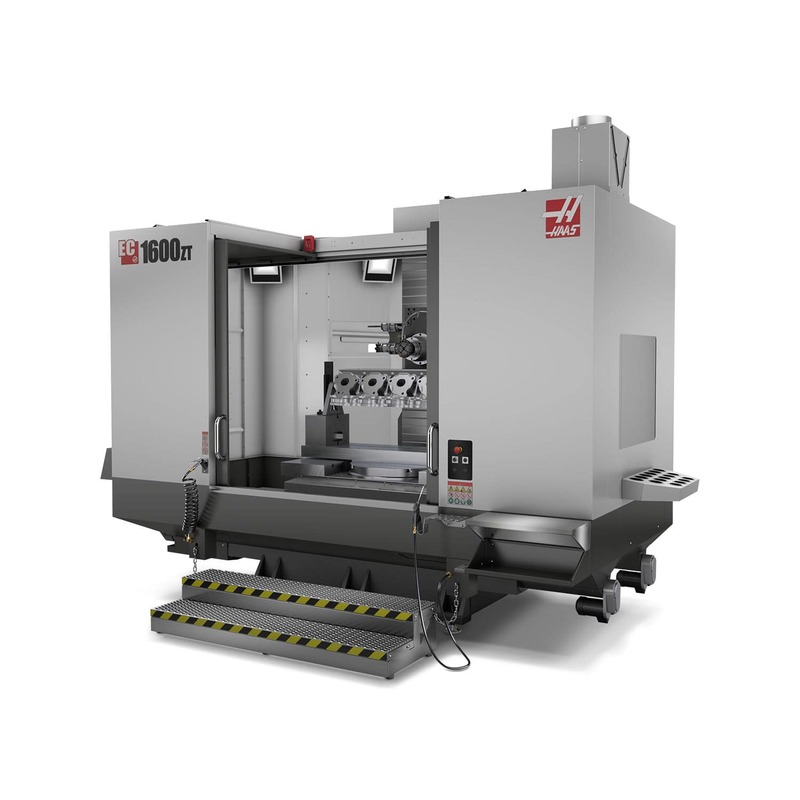 5-Axis Horizontal Machining Center; 64" x 50" x 40" (1626 x 1270 x 1016 mm), with integrated B-axis rotary platter mounted with a subplate and HRT310 A-axis rotary table; 50-taper geared-head, 30 hp (22.4 kW) vector drive, 7500 rpm, 30+1 side-mount tool changer; includes 1 GB program memory, 15" color LCD monitor, USB port, memory lock keyswitch, rigid tapping, spindle orientation, macros, coordinate rotation & scaling, Wireless Intuitive Probing System, power-failure detection module, and color remote jog handle. Includes enclosure, coolant system and chip augers. Anchor kit required for installation.